Dr Zen Jordan Diabetic Shoe fits all standard foot shapes. Each shoe has 2 removable inserts to accommodate 3 different size widths built right into the shoe. These shoes represent a new direction in the design of diabetic / therapeutic shoes. Each shoe has 3 removable inserts to accommodate 3 different size widths built right into the shoe. In addition they are: light weight, 3/8" depth, rocker sole, seamless construction, rigid shank, thomas heel, reinforced counter, breathable material, and achilles tendon support. With over 50 years of combined experience, a team consisting of a Pedorthist, Orthotist, Podiartist, and Biomechanical Engineers collaboratively designed the ultimate therapeutic shoe. Dr Zen therapeutic / diabetic footwear features the most advanced functional orthopedic shoe technology built right into the shoe. 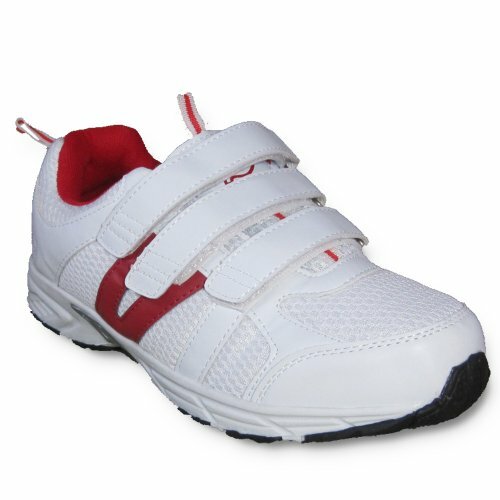 The shoes feature the highest quality materials, light weight, 3/8" extra depth, seamless construction, achilles tendon support, rocker sole, Thomas heel, rigid shank, and reinforced counter. Triple Width System (TWS) shoe has 2 removable spacer insoles, every time you remove an insole the shoe becomes 1 width wider. The platforms are designed specifically for the widest width. Every added insert takes up one width. This gives the fitter, patient, etc the option to customize the fit of the shoe to accommodate swelling, pronation, certain deformities, and foot braces (AFO's). Supports Conditions: Moderate Bunions, Hammer Toes, and Deformities. Shoe Cover: Leather / Mesh uppers and seamless linings. If you have any questions about this product by Dr. Zen, contact us by completing and submitting the form below. If you are looking for a specif part number, please include it with your message.